Megan Bell, a contestant on the Chris Soules season of The Bachelor, is planning an Asheville-area wedding. 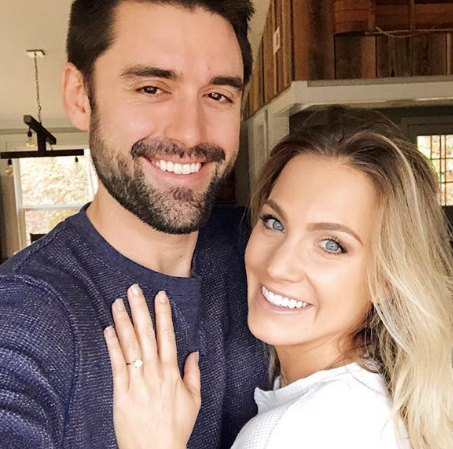 Bell announced via her Instagram account (@meganelizabethbell) that she was engaged to beau Kyle Wesley Davis following a proposal. (Did he get down on one knee on Valentine’s Day?) 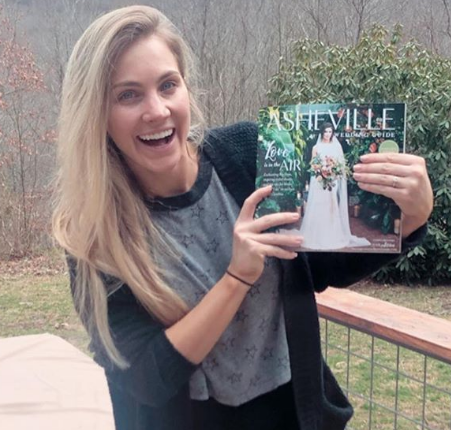 In one of two photos she posted, she posed with a copy of the Asheville Wedding Guide. “I’m in Asheville meeting my dream wedding planner, @shaybrownevents to start the planning!! I am ecstatic and I can’t wait to share all the wedding details. Shay tells me she’s thrilled to be working with Megan, and added this great additional twist: Shay handled the wedding of one of Megan’s aunts about 15 years ago, when Megan was a little girl. Megan appeared on Season 19 of The Bachelor in January 2015 and left of her own accord during week six of the show after a fun date with Soules, in which they took a helicopter tour of the Grand Canyon and had a picnic. She appeared on the second season of Bachelor in Paradise, and was eliminated in week three of that show. On a sad note, Bell’s father died in 2014. 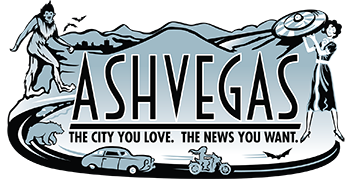 According to his obituary, David Eugene Bell III was born in Asheville in 1961. He attended the University of North Carolina Asheville, where he earned degrees in mathematics and art. It was during his time at UNCA that he met Sheena Brown, an elementary school teacher. The two wed 1984. The couple moved to Raleigh, where Sheena gave birth to two children, Cameron first and then Megan two years after. The Bells eventually settled in Murfreesboro, Tenn.
Stay tuned for more details regarding this upcoming Asheville celebrity wedding!